How much suffering must a person withstand for sincerely believing that we should live in an egalitarian world? For Albie Sachs, South African jurist and an inspiration to people throughout the world, the hope for equality might be without limits. I met him in Cape Town. We started off with a breakfast at Vida e Caffè at Sea Point, a popular place. After some time we realized that the conversation wouldn’t end as soon as we had thought, so we went over to his house. “To North Americans, the most important thing is freedom. But for South Africa, equality is what comes first,” Albie said. He participated in writing the Bill of Rights, promulgated in 1996. He was nominated for the Constitutional Court when Nelson Mandela took over the presidency. Then he went forth using the weapon that has always been at his side: a true understanding of human rights and the firm conviction that all are equal. A little of this legacy will be shared with you through the following interview. Albie Sachs left South Africa and spent eleven years in England, in exile. After that he spent eleven more years in Maputo, Mozambique, lecturing for the law department of Universidade Eduardo Mondlane, still under exile. On April 7, 1988 he foiled death’s invitation brought by pro-apartheid forces when they put a bomb in his car and tried to assassinate him. Filled with shrapnel, broken ribs, perforated ear drums, and a badly injured right arm, he was thrown into the back of a pickup truck and rushed to the hospital. The doctors worked on him for seven hours. The pictures show him on a hospital bed, his right arm chopped up, with destroyed vision in one of his eyes, a burned scalp, and all wrapped up in bandages. “The bomb literally removed me from my law routine and freed me to recreate my life from the very beginning. I learned how to walk, stand, run…and to prepare myself to write the new South African constitution,” he notes. The transformation was so drastic that he doesn’t celebrate his birthday, January 30th, any longer, but celebrates April 7th instead. Albie remembered a very important event for the South African constitutional jurisdiction. In 1995, the then president Nelson Mandela used his power for his own purposes and tried changing a local elections law in favor of his party, the ANC. The act was questioned. “He had been elected by an overwhelming majority, had unimaginable popularity and majority support in the Legislative Branch,” stated Albie. Despite all of this, the Constitutional Court brought down the President’s project. The Constitutional Court’s headquarters is the most memorable court building that I know of. It was erected in the Old Fort prison, a place that held Johannesburg’s most famous prisoners. “We say, with a mixture of satisfaction and shame, that South Africa possesses the only prison in the world where not only Gandhi but also Mandela was imprisoned,” Albie Sachs remembers. The Court’s symbol is a large tree where people go for shelter: “they protect the tree and the tree protects people,” Albie explains. One of the most memorable decisions of the Constitutional Court Albie partook in had to do with AIDS, the lethal disease ravaging large parts of Africa. A drug manufacturer had agreed to freely supply the government, for five years, with a drug capable of saving lives of HIV-infected people. The government devised a distribution program for a limited amount of trial places (two in each of the eleven provinces). Doctors outside of these places, however, were forbidden to administer the drug, despite the fact that it had already been tested and approved for use. Only 10% of the expected 70,000 annual contaminated births were covered. The government wanted to develop a study of several years before creating a national program. This stance was opposed before the Constitutional Court by the Treatment Action Campaign (TAC), an organization fighting for the country’s HIV positive people. Albie Sachs’ advisors described TAC as the most lively and efficient organization in South African civil society. It had mobilized dozens of thousands of people with HIV who refused to be seen as marginalized victims. They wanted to be seen as active people and wanted to shape their lives in the best way possible. On the day of the trial, the Court was filled with people wearing shirts that said: “HIV positive.” The atmosphere was charged with emotion. According to the decision, since the drug was available, didn’t have a cost, and had been deemed safe for use in the private sector and in the trial locations, it didn’t make sense to limit its use so that the government could research more to see if it would have any operational problems. The drug should be made available to all health establishments in the State that had medical staff capable of administering its use. Albie Sachs highlights that the public policy was analyzed as a whole, making it a decision that extended to the community. “We don’t favor only one person or the other who, because he or she has access to good lawyers, is able to get to the Supreme Court. In seminars, I discuss the consequences of isolated decisions regarding the right to health, destined to one person or the other, decided in some Courts, like in Colombia and in Brazil. We prefer to do it in a general fashion, benefiting everyone,” he says. When the sentence was given, once again a deafening silence took over the chamber: “We left the courthouse and stood together for a moment in the hallway. Then, once again they broke out in overwhelming applauses. And, once again, I cried,” Albie reminisces. Albie Sachs has a cooperative mindset about constitutional jurisdiction. “The assumption is that the three powers will hold civilized conversations instead of rude discussions. The notion of a dialogue or conversation with Parliament was embedded into the purpose of our jurisdiction,” he affirms. The Court gave Parliament one year to correct the law: “The Court is given this power by the Constitution: to declare something unconstitutional and suspend the declaration of invalidity in order for the law to be corrected,” he explains, affirming that he didn’t want the Marriage Law to be considered unconstitutional just because it hadn’t been altered in time, “which would have been disastrous.” Then the ruling came that, in case no action was taken, the law would start using the term “or spouse”. In 1996, the Choice on Termination of Pregnancy Act was approved, one of the most liberal laws in the world. Any woman, any age (including underage girls), could ask for an abortion, without having to give a reason, up to the 13th week of pregnancy. In 2005, a law came into effect that added to the ways one could have access to an abortion. This law was questioned in the Constitutional Court, which formally considered it to be unconstitutional because the Legislative hadn’t allowed for the public participation required by the Constitution. The Court gave 18 months for the Legislative to fix this mistake, allowing for public participation in the discussion of this law. The Legislative did this and, in 2008 the new law was promulgated, without the previously detected mistakes. 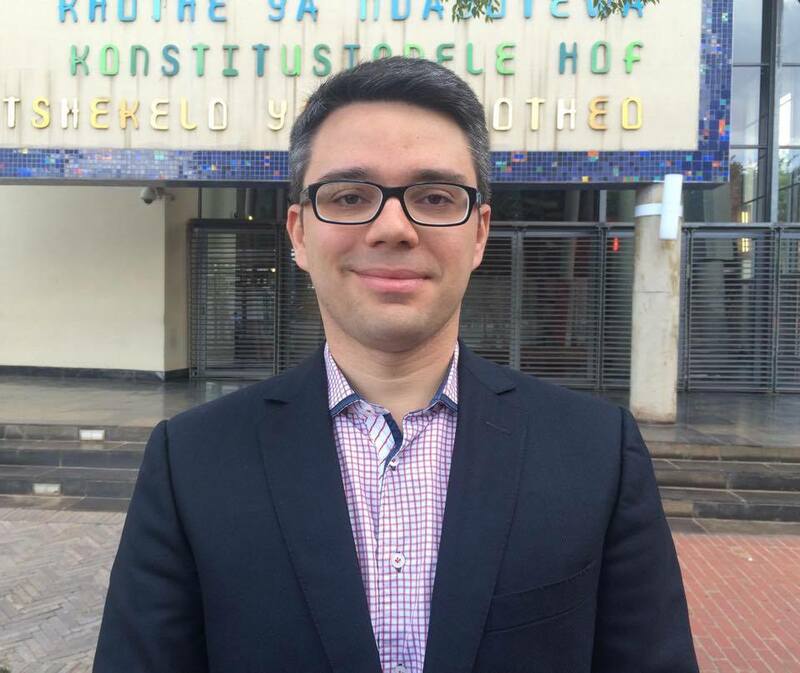 I also commented on the recent sentence given by the Brazilian Supreme Court which defined the constitutionality of the policies on racial quotas as criteria for entering public universities. In South Africa, as is everywhere else in the world, the topic is a controversial one. “We had policies directed towards blacks having access. Others were directed towards women having access. It so happens that in these access laws for women they started discussing whether the white women would be deprived from participating. The discussion had too many tangents,” said Albie. Currently, South Africa is at a stage called BEE (Black Economic Empowerment) which consists of encouraging blacks into the work market, taking over professional positions and participating in the economic life of their communities. 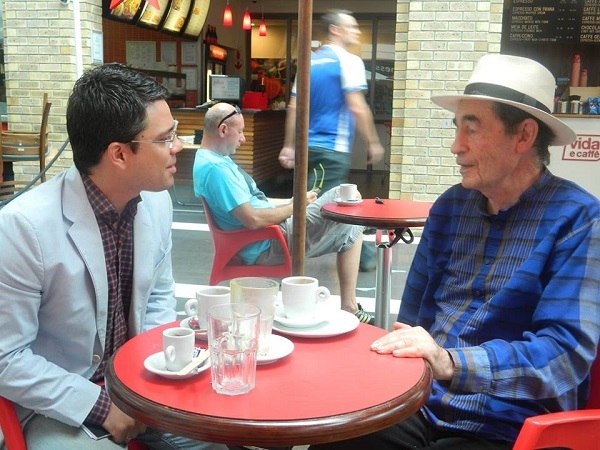 Before leaving I ask Albie Sachs what kind of South Africa he will leave for his son, Oliver. “To many people, nothing has changed. To me, a lot has changed. All one has to do is look at the newspapers. The criticism towards governing authorities is intense, people say whatever they want. There is incredible improvement regarding the social-economical rights. The government has been implementing varied programs, like the access to decent housing. Of course it has problems, like violence. But, undoubtedly we live in a country that is much better than it was yesterday,” he answers. At midnight on October 12, 2009, his 15 year term in the Constitutional Court expired. He was no longer a judge. Yet, the world would continue to thirst for Albie Sachs. He didn’t become great because of the constitutional jurisdiction. He is the one who, with his own legacy and alongside his colleagues, gave dignity to the South African constitutional jurisdiction. Albie lost his vision in one of his eyes and almost his entire right arm. Nonetheless, in him rose a fruitful heart, a powerful mind, and a body filled with energy. With his heart, he kept intact the belief that we are all equal. In his mind, brave and inspiring ideas overflow. With his energy, he travels around the world bringing his message. “See you next time, Albie!” – I said, certain that I had just experienced one of those rare moments where one leaves a better person than he was when he came in. SUGGESTED CITATION Tourinho Leal, Saul: Meeting Albie Sachs: From Outlaw to Constitution Maker, VerfBlog, 2015/10/21, https://verfassungsblog.de/meeting-albie-sachs-from-outlaw-to-constitution-maker/.